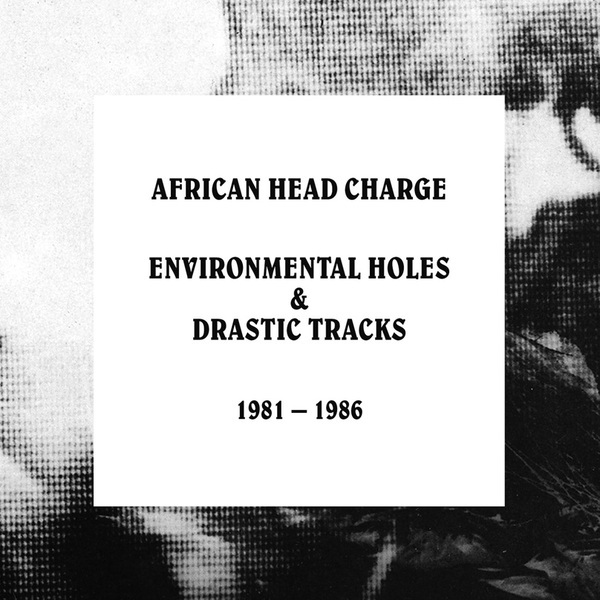 Inspired by Eno’s “vision of a psychedelic Africa,” English dub producer Adrian Sherwood and master Jamaican percussionist Bonjo Iyabinghi Noah have collaborated on a series of studio experiments under the African Head Charge moniker for over 35 years. This anthology documents the white hot heat of their first 5 years over 5 discs: ‘My Life In A Hole In The Ground’ (1981), ‘Environmental Studies’ (1982), ‘Drastic Season’ (1983), ‘Off The Beaten Track’ (1986) and ‘Unreleased Tracks & Version Excursions’ (11 rare and unheard tracks from the period on CD for the first time). Eight of the unreleased tracks on CD5 are available concurrently on vinyl as ‘Return Of The Crocodile’ (ONULP133).  Also includes a 24 page booklet with photos and sleevenotes by Steve Barker (BBC Radio Lancashire’s On The Wire).